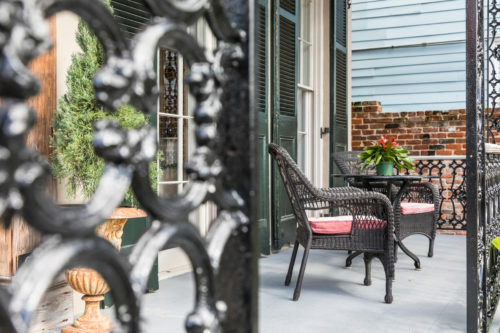 Visit this and 6 other stunning homes in New Orleans’ historic Garden District and Lower Garden District at the Holiday Home Tour on Dec. 8 and 9. Click here for tickets and more tour details. 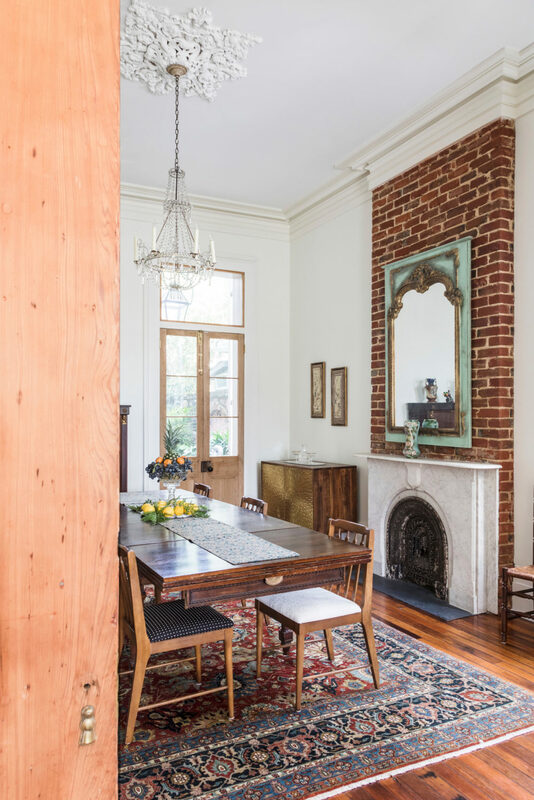 But the veteran restorers — who admit they are “preservationists at heart”— knew they were looking at a diamond in the rough. 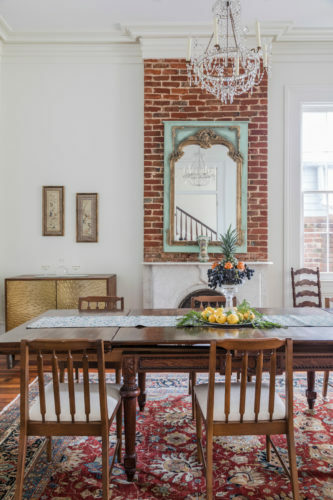 “Since there were so many holes in the floors and ceilings, my husband, Ronnie, noticed the joists were made of cypress and probably not used since the late 1800s. The medallions, although damaged, were original and intact. 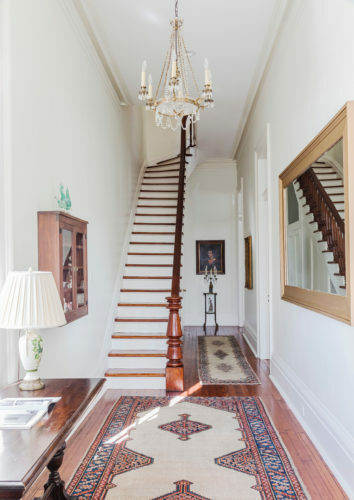 The staircase was covered with tons of old paint, but sturdy, and the original floors were salvageable,” Susan said. 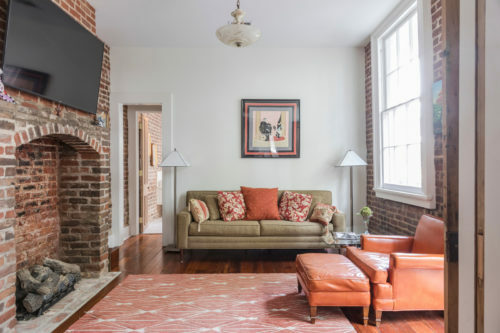 “I could go on, but this is one of Ronnie’s great talents — he sees rescue in these historic buildings where most people don’t.” The couple made an offer on the house within hours of seeing it. Within weeks, they embarked upon an 18-month journey to bring the Classical Revival townhouse back to its former glory as a luxurious but livable family home in one of New Orleans’ most historic neighborhoods. 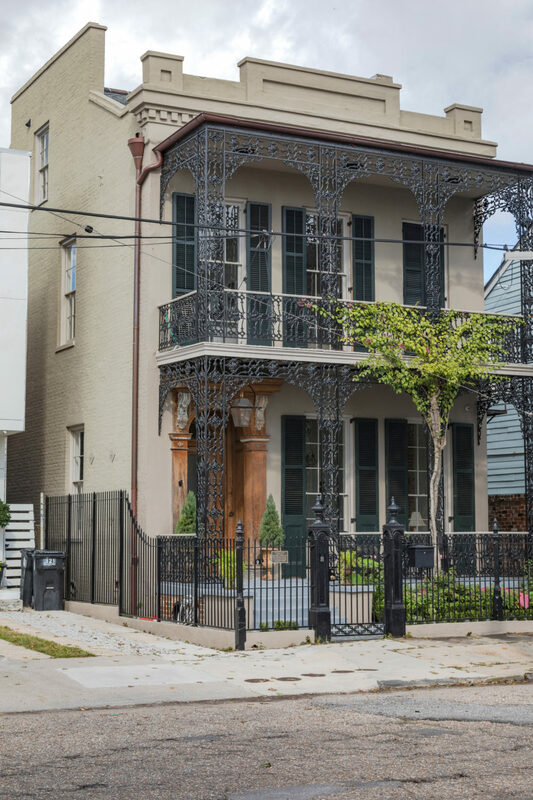 The Race Street lot bordered by Annunciation and Constance streets was first sold at auction in 1859 to Ashael Walker Cooper and his first wife, Ann Sullivan Cooper, who subsequently built the structure. 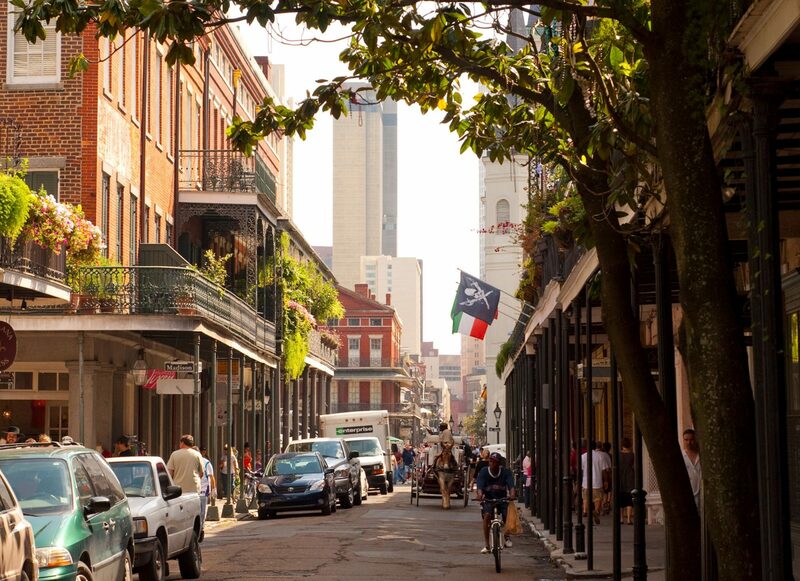 Cooper, a native of Philadelphia, was a prominent businessman, member of what was then known as the “American Colony” in New Orleans and the owner of the Cooper Cotton Press at the foot of Race Street, among other investments. 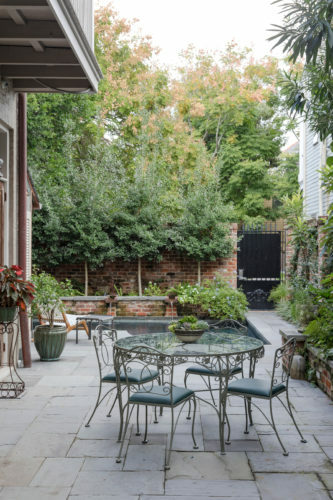 In the late 1930s, the house, which remained in the Cooper family for decades, was one of the first entries into the United States Historical American Buildings Survey. 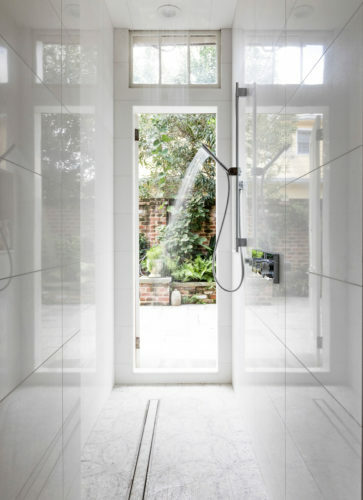 But, like many properties in the neighborhood, by the end of the 20th century, the property had been subdivided into multiple units and had fallen into disrepair. 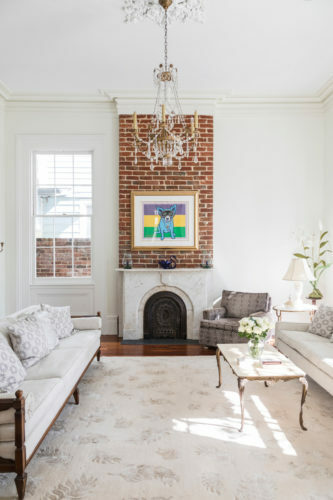 While maintaining the medallions and moldings around the high ceilings, cypress pocket doors and stairways, long leaf pine floors and New Orleans handmade brick, the owners and architect opened up the lower floors to create a flow from the parlors to the kitchen, and configured four bedrooms, four and a half bathrooms and multiple sitting areas for a family that loves reading and conversation. 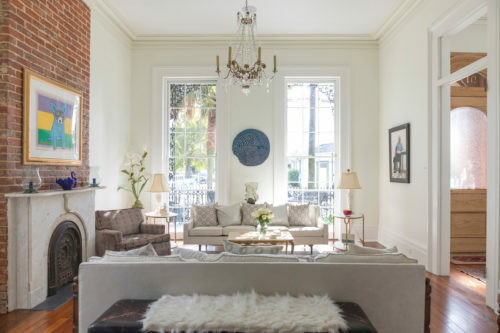 The interior, designed by Susan, is furnished with a highly personal mix of Mid-Century Modern family pieces surrounded by 19th-century French fixtures. 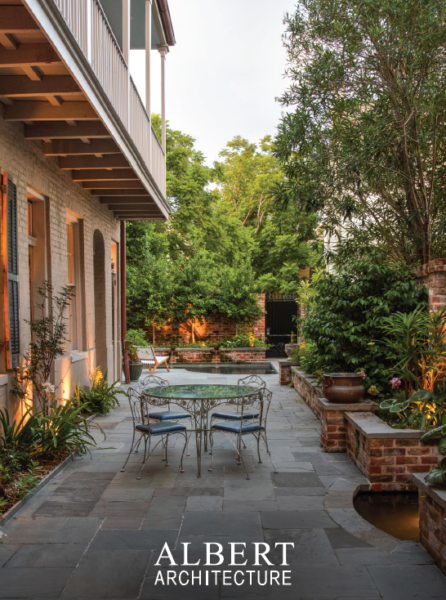 Landscape architects Alvarez+Basik took on the challenge of creating a garden and pool for the family, and this year created an outdoor kitchen and entertaining area. 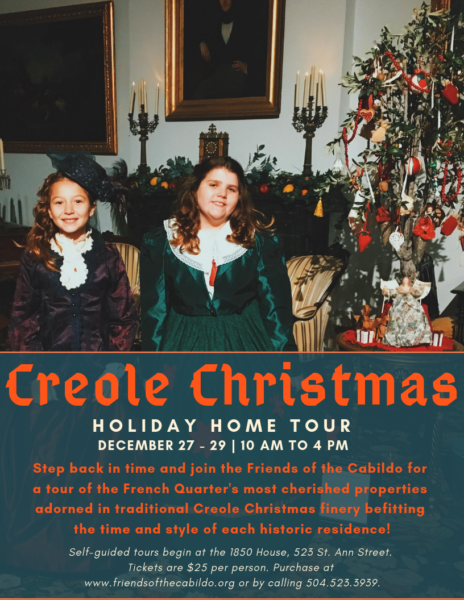 Advance sale tickets: $30 for PRC members, $45 for non-members. $50 on day of tour.